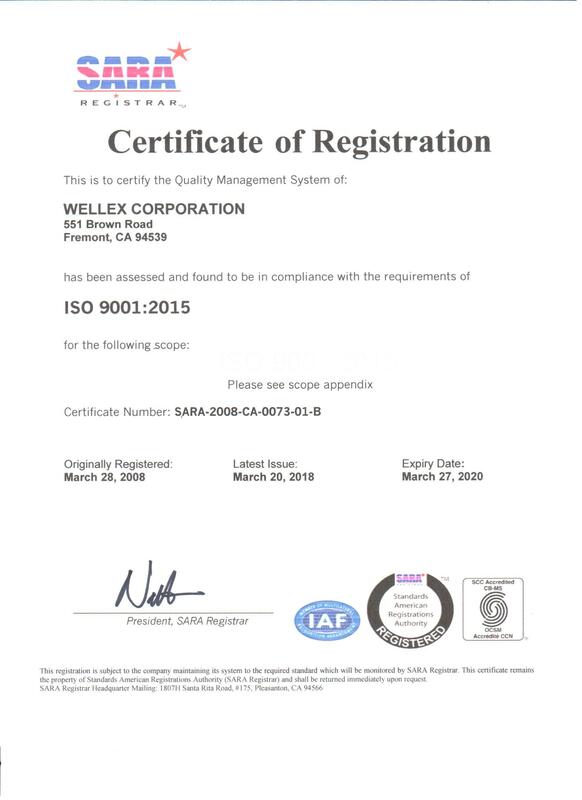 Wellex is committed to providing quality products and services that meet our client requirements. 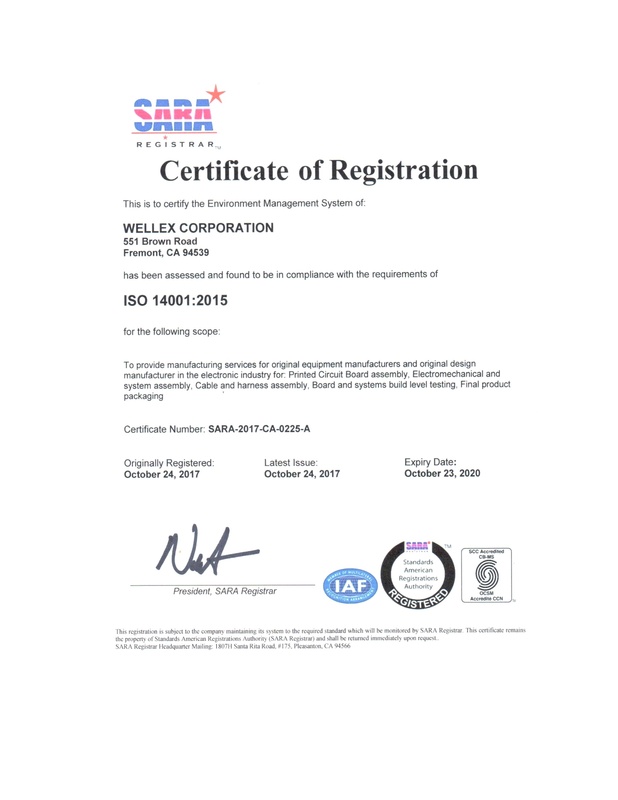 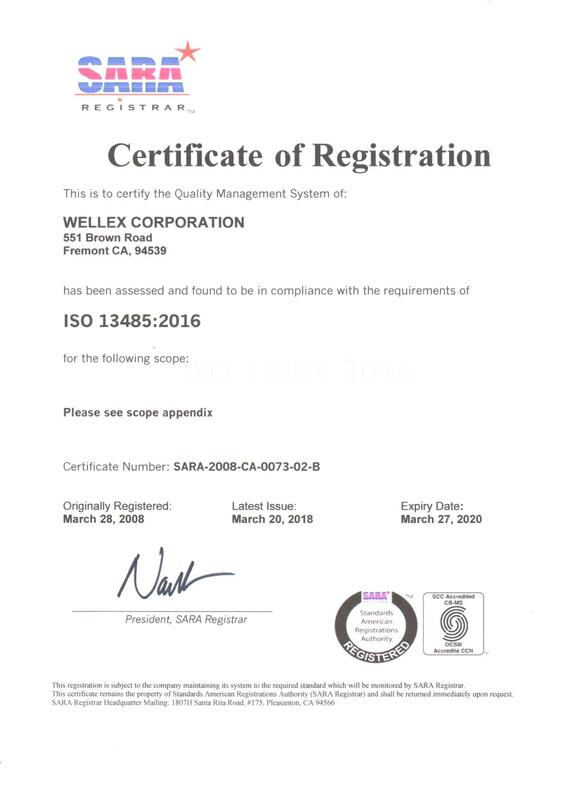 Our products are fully compliant with the international industry standard and are certified to ISO 9001:2015 & ISO 13485:2016 & ISO 14001:2015. 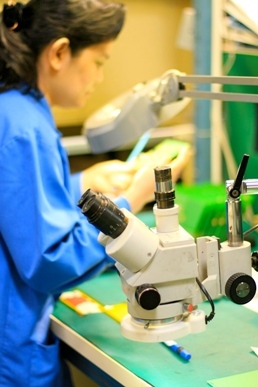 Our dedication to quality and excellence is detailed in our quality policy.